There are reports that a Belizean was killed across the border in Guatemala sometime on Thursday night. The local police department has not been able to provide information on the alleged murder, but there are conflicting reports. According to one, Luis Mis was severely beaten by a group of men who threw him off the balcony of the hotel and restaurant where he worked in the Tikal Area. But Guatemala’s Prensa Libre today reports that five persons died violently in Tikal, Peten. One of those persons has been identified as Luis My Iglesias, a seventeen year old, who was beaten with a bat while walking along the boardwalk. Mis, also known as Weecho, was born to a Belizean mother and a Guatemalan father; he was living in Flores, Guatemala. He completed tour guide training in San Ignacio and has been working with Reino Kan Travels in Flores, Peten. He worked mainly as a tour guide. His body is being transported back to San Ignacio where friends of the Mis family tell News Five that a wake will be held. It’s another outrage by lawless Guats against a Belizean. No Belizean can receive justice there. 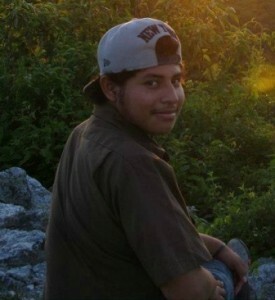 Will the Guat government make a compassionate payment to his family? WHERES OUR COMPENSATION FOR THIS MURDER???????????????????????? Sad to know how our Belizean brothers are beeing murdered in Guatemala like animals while our Government sits by idly doing nothing instead they continue to give hundreds of Guatemalans free education in our primary schools and acceptance into our terciary institutions..you as a Belizean try to get an education in their Univercity ..see how much roadblocks you have to face..STOP this madness..it’s not about politics anymore..I’m not a supporter of violence but if that is what it takes for change to happen …then so be it!! STAND UP BELIZEANS….WAKE UP!!! Hey what you all think about this young tour guide killed in Guatemala, will the Guatemalan gov. pay the family ten grands for their love one? Now do we think Dean Barrow will pledge to the Guatemalan Government that a compensation in kind be paid to this family? or do a compensation in kind for the death of a Belizean in Guatemala? $10,000 US to his family as compensation? Work pan it Elrington. The most undesired news for his loved ones, but Guatemala is NOT a place for Belizeans anymore. Condolence to his family, may his Soul find peace with God. And better we avoid going to Guatemala. I’m with Genotu and the others who recognize that Guatemala is a hostile warzone for Belizeans. What do we need from that poor country? Nothing! BOYCOTT GUATEMALA. Cycling Association election, but which rule will govern?